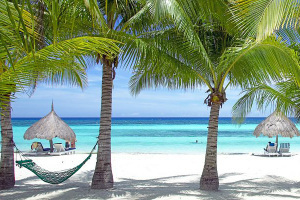 The Cebu City Mayor confirmed that a major Philippine company has expressed interest in developing an PHP18-billion hotel and casino resort on the Kawit Island, part of the Cebu province. JG Summit Holdings Inc., known to be one of the largest Philippine conglomerates, is planning to build a hotel, casino, convention center, as well as multiple dining and entertainment facilities as part of its proposed project. Cebu City Mayor Tomas Osmeña explained that under JG Summit’s plan, the resort will feature four towers with a hotel portion with 1,000 rooms. The official went on to say that when a developer is investing an enormous amount of money that usually involves a larger development project with different venues and attractions. It also became known that JG Summit will be working with a foreign partner if its proposal is given the green light by Cebu officials. More details about the multi-billion project are to be revealed in the next few weeks. Mayor Osmeña said that JG Summit bidding for the project will likely have a general positive impact on the region. The official pointed out that the conglomerate’s involvement is expected to result in a rise in the property prices at the South Road Properties (SRP) area. SRP is a 300-hectare reclamation area located not far from Cebu City. The city plans to sell around 3 hectares of SRP land at a price of PHP110,000 per square meter. Mayor Osmeña is hopeful that after the announcement about JG Summit’s interest in investing in the region, there will be more buyers who will feel tempted by the SRP offer. Presenting a little bit more details about the PHP18-billion development, Cebu City’s top official noted that it may also attract other developers with proposals to build a casino resort in the region. 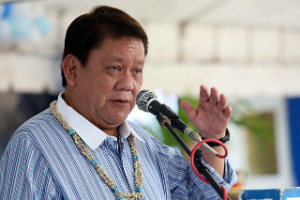 Construction of the integrated resort is expected to take three years, Mayor Osmeña told local media. The official expressed hopes that at least 8,000 jobs will be created in the process and once the complex is operational. The expensive project is also expected to draw additional investment and new businesses to the area. Here it is important to note that Cebu City will be collecting 15% in tax revenue from the complex and its facilities. Mayor Osmeña clarified that JG Summit’s proposal is yet to receive the necessary approval from the City Council. The project first needs to be submitted officially with city officials, negotiated, and potentially approved. What is more, the city is open to more proposals from different other interested investors and that such proposals will all be discussed. The JG Summit project as well as other such plans will also be formally presented to residents of the area so that their opinion, too, is heard.